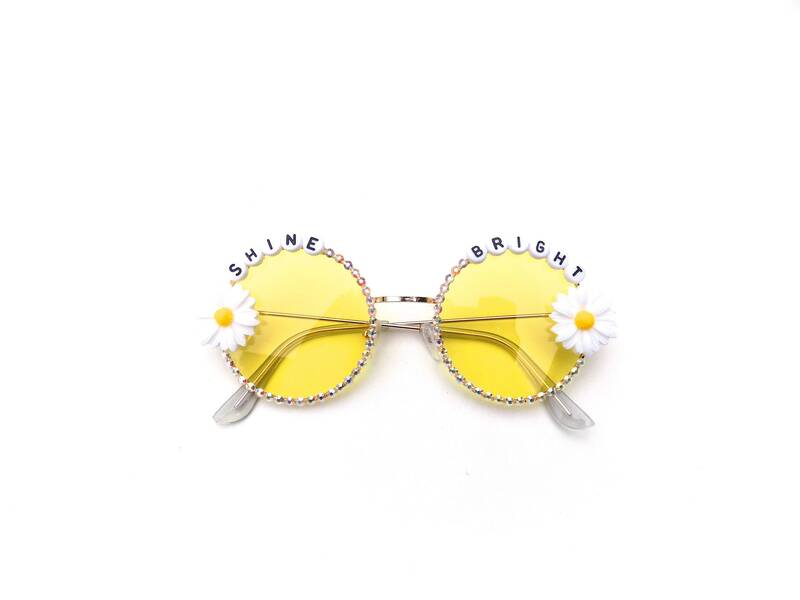 SHINE BRIGHT decorated sunglasses by Baba Cool | funky embellished festival shades with daisies and sparkles! 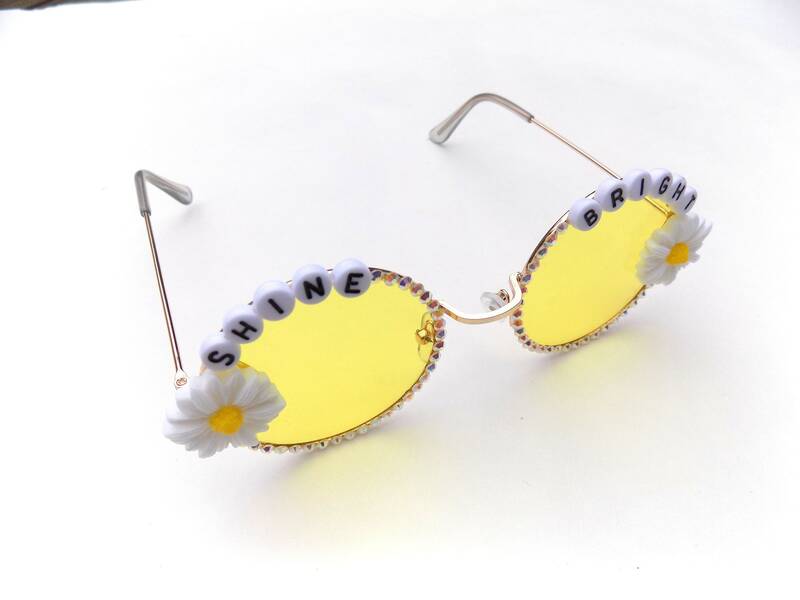 These happy yellow sunglasses have been hand decorated with the words "Shine Bright" and a daisy on each side. Iridescent rhinestones adorn the rims. 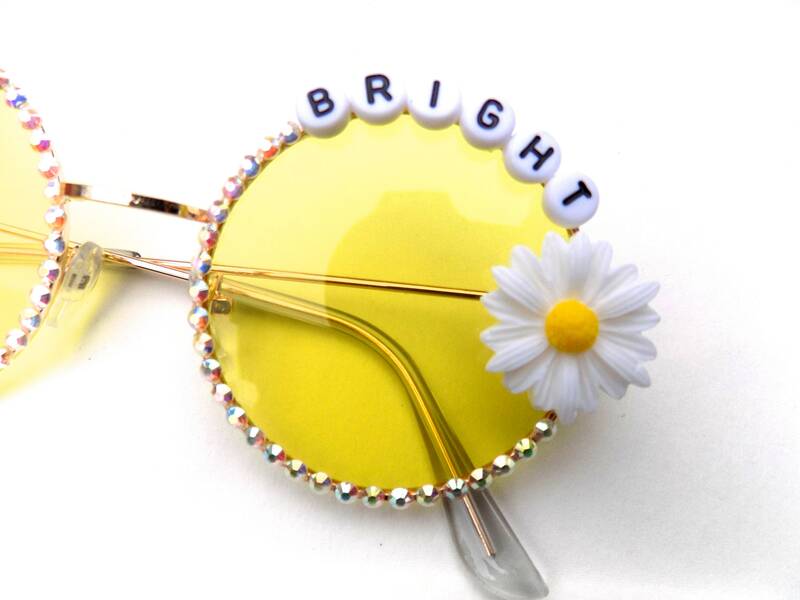 Frames are metal with tinted yellow lenses. All decorations are fastened securely using industrial strength glue; built to last! The sun is always shining above the clouds!